We are pleased to welcome distinguished DisPerSion visiting artist/scholar Gayle Young! An internationally-recognized Canadian composer, performer, author and instrument-builder, Young will introduce instruments she has designed, built, and found, playing them in combination with tuned audio recordings. Part talk and part performance, guests will also be invited into her sound world by having a chance to play the instruments! The DisPerSion Lab is pleased to welcome our distinguished visiting artist Malcolm Goldstein, who willl lead us in the workshop “The gesture of improvisation”. This event will focus on the integration of breath/body gesture/sound, and improvisation as a process of discovery. Deep Listening is practice that is intended to heighten and expand consciousness of sound in as many dimensions of awareness and attentional dynamics as humanly possible. It includes bodywork, listening meditations, movement and sound-making exercises. It cultivates a full-bodied and heightened awareness of the sonic environment, both external awareness of the sonic environment, both external and internal, and promotes experimentation, improvisation, collaboration and play. Sessions facilitated by the certified Deep Listening Instructor Doug Van Nort. All welcome, no experience necessary. Telematic performance connecting the DisPerSion Lab’s Electro-Acoustic Orchestra with the Stream Ensemble in Potsdam, DE. Part of the Brandenburg New Music Festival. Featuring new works by Thomas Gerwin (DE), John Rausek (DE), Doug Van Nort (CA). Sabine Vogel (DE) and Brian Abott (CA). A bi-weekly series of talks featuring a mixture of lab-community graduate students and distinguished invited guests. 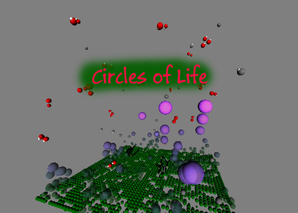 This piece creates an evolving interplay, in sound, between various agents that include humans and non-humans, both computational and biological. The physical GSO artifacts are a set of solar-powered ‘creatures’, designed to interact with one another and the larger sonic field in which they are immersed. The means of communication begins as a call/response from a set of simple tones/noises that introduce this new species into the sonic environment. Each creature will respond to sounds that are similar to their known vocabulary, evolving their call over the course of months based on the difference found between their own lexicon of calls and those that they hear around them. These artifacts, though, are merely vessels: rather than meditating on the technological objects themselves, through this piece I invite you to listen to this new sonic presence as it is woven into the fabric of an existing, dynamic and diverse acoustic ecology. Many thanks to Kieran Maraj of the DisPerSion Lab for designing the solar Raspberry Pi and enclosure prototypes. Movement and muscle tension from 21 dancers drive interactive music and visuals. Featuring dancers from 21 different countries, coming to Toronto for AI17. DisPerSion Lab members take their Electroacoustic Music to Buffalo! The second edition of the Collaborative Electroacoustic Music Concert Series will bring together faculty and student composers from the School of Arts, Media, Performance and Design of York University, Toronto (CA) and the program in Digital Music from SUNY Buffalo State. The concert will feature fixed media works by Evan Courtin, Ian Jarvis, Ian Macchiusi and Doug Van Nort, as well as live music performances by Michael Palumbo, Ethan Hayden and Tomás Henriques. 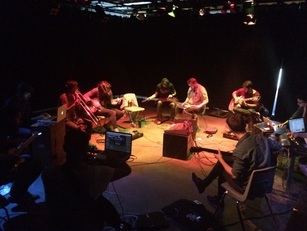 The Collaborative Electroacoustic Music Concert Series is hosted once a year, during the spring semester, by the program in Digital Music at Buffalo State. The series aims to foster inter-institution artistic partnerships around the subject of composition and performance of contemporary electronic music. Besides a concert, the collaboration includes parallel activities of pedagogical and research nature on electronic music theory and practice, discussed in lectures and/or workshops. Special thanks to Tomás Henriques for this invitation. Multiple opportunities on York’s campus to experience ideas and work from lab members! Elemental Agency is a piece concerned with an emergent gestural language that manifests across movement, sound and light. Rather than sound/light articulating movement, or movement driving media, the approach builds outward from gestural metaphors as a point of shared intersection for these phenomena. The work draws upon the metaphorical constructs of Japanese Godai and Indian Vaastu Shastra theories of five elements: earth, water, wind, fire and void/space. Working with conceptual metaphors drawn from these traditions, constraints are provided to the dancers of embodying a given element as a collective – a texture of movement, rather than a singular human entity, that manifests the non-human agency of a given element. Motivations related to world, body, motion, emotion and enaction are given: earth as stubbornness and resistance to change, wind as expansive, elusive and compassionate, fire as energetic and forceful, etc. Using machine learning methods, the sonic interaction designers seek to capture moments of gestural expression and fuse this with sounds that similarly embody a given elemental quality/profile. Negotiation between art forms leads to a collective choreography and sound design that emerges from the embodiment of the nonhuman elements and the mediation of the machine agents. Visual projection functions as both lighting and enhancement of embodied experience in space, rather than screen-oriented media experience. Spotlights both enhance elemental qualities as well as embodying behaviours that align with the constraints of the element metaphors: rigid tracking of movement within earth state, amorphous following within water state, tendency towards consumption in fire state, etc. Video Broadcast via: http://live.dispersionlab.org This event features performances occurring across two continents, and overlapping through a telematic connection. The Toronto performance serves as the culmination of a sister event happening at the Exploratorium Berlin. The concert opens with guest artist Thomas Gerwin, who will conduct from the Exploratorium Berlin with a structured improvisation entitled “EAOIU” written for and featuring the Electro-Acoustic Orchestra (EAO), performing at the DisPerSion Lab in Toronto along with his Berlin ensemble.Following that performance, the collective cross-atlantic ensemble will continue performing newly-commissioned pieces by New York-based guest artist Sarah Weaver and EAO director Doug Van Nort, before finishing with a local performance of a new work by EAO member and active Toronto improviser Glen Hall. Performances are co-curated for this meetup event with Daniele Hopkins of Electric Perfume. Doug Van Nort, the Canada Research Chair at York University and distinguished electroacoustic sound artist, has started the Dispersion Lab, which is a studio and a live ensemble comprised of graduate and undergraduate students as well as artists from the local community. They explore telematic performance, improvisation, laptop performance and gestural conducting among their prolific artistic activities. Include in this performance are Ian Jarvis and Michael Palumbo. EngineBaroque is a live electro-acoustic performance. Luis controls a custom-made 3d environment –a digital extrapolation of Kurt Schwitter’s Merzbau, imbued with locative sounds. As he navigates this artificial architecture, he samples sounds in the environment, manipulating them in real-time with tape machines and samplers, creating a live electro-acoustic space located somewhere between the physical and digital world. Prepare your body for the game-story-musical event of a lifetime! Inspired by tabletop RPGs, improv comedy and rock & roll, Hypergame Storytime: The Musical invites the audience to take their rightful place as the star of an intergalactic, time travelling, life afirming odyssey about the power of the human spirit and butts probably, whatever, just trust us. What is it? What isn’t it! It’s all your favourite activities and interests smushed together with healthy dose of awkwardness, imagination and friendship. Performers: Chris Anderson-Lundy, Robert Appleton, David Bandi, Aaron Corbett, Carlos De Leon, Marcello Fiorini, Glen Hall, Ian Macchiusi, Sabatino Muccilli, Mark McGugan, William Osmon, Mackenzie Perrault, Liz Petzold, Ted Phillips, Danny Sheahan, Fae Sirois and Lauren Wilson. JOHN DRISCOLL is a composer/sound artist who is a founding member of Composers Inside Electronics (CIE) and collaborated on David Tudor’s Rainforest IV project since its inception in 1973. He has toured extensively in the US and Europe with: CIE, David Tudor, Douglas Dunn & Dancers, Maida Withers Dance Construction Co., Stephen Petronio Company, and as a solo performer. For over 40 years his work has focused on robotic instruments, compositions and sound installations for unique architectural spaces, rotating loudspeakers, and music for dance. He is a pioneer in performance of live electronic music and is know for his innovative electro-acoustical instruments. His work spans many disciplines and has included performances/collaborations with artists: David Tudor, Ralph Jones, Paul DeMarinis, Linda Fisher, Ron Kuivila, Phil Edelstein, Bill Viola, Tom Hamilton, David Moss, Matt Rogalsky, Richard Lerman, Doug Van Nort and many others. He has created music for the Merce Cunningham Dance Co., Douglas Dunn & Dancers, and Maida Withers Dance Construction Co.
His work has been presented at the Kitchen (NYC), Festival d’Automne (Paris), Holland Festival (Amsterdam), Akademie der Künste (Berlin), Museum of Modern Art (Warsaw), MoMA (NYC), Museum der Moderne (Salzburg) and others. 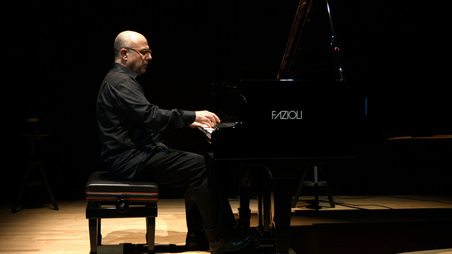 He has received numerous awards including a Berlin Residency from the DAAD Berliner Künstlerprogram in 1985/86. In 2014, he was artist-in-residence at Harvestworks (NYC) developing a work for robotic highly focused speakers, and recently completed new works for ultrasonic instruments. He is reviving Tudor’s Pavilion works in conjunction with CIE, E.A.T. and the David Tudor Project. He was recently the David Tudor Composer-In-Residence at Mills College and has been working on Phil Edelstein’s Impulsions work and on a series of performance works with ultrasonic instruments under the title of Speaking in Tongues and sound installations using ultrasound Slight Perturbations. In 2015, he and Phil Edelstein collaborated on the sound installation Rainforest V. Rainforest V (variation 1) has been acquired by MoMA (NYC) in 2016 as part of their collection and Rainforest V (variation 2) was acquired in 2015 as part of the collection of Museum der Moderne (Salzburg). His recent album Fishing for Sound (Berlin) is available on iTunes and other works are on Edition Block, Orange Mountain Music, New World Records and Edition RZ and others. The Electro-Acoustic Orchestra (dir. Doug Van Nort) is an ensemble comprised of a mixture of acoustic and electronic performers. It is an emergent sonic organism that evolves through collective attention to all facets of sound, soundpainting-inspired conducting, commissioned pieces and improvisational practice. 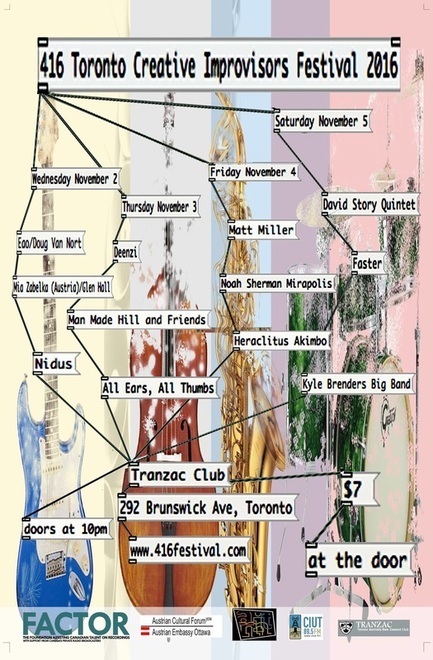 The ensemble functions both as a music course during the Fall semester, as well as the year-round resident ensemble for the DisPerSion Lab where it integrates members of the larger Toronto improvising community. Members for this performance are Chris Anderson-Lundy, Robert Appleton, David Bandi, Aaron Corbett, Carlos De Leon, Marcello Fiorini, Glen Hall, Ian Macchiusi, Sabatino Muccilli, Mark McGugan, William Osmon, Mackenzie Perrault, Liz Petzold, Ted Philips, Danny Sheahan, Fae Sirois and Lauren Wilson. Please join us for this special lecture by Ann Warde, a long time associate of Cornell University’s Bioacoustics Research Program! Science embraces acoustics as a way to understand the behavior and communication strategies of animals. However, because of differences between the perceptual scales of human observers and very large, or very small, animal species (whales and crickets, for instance), even the seemingly simple act of determining the source of a sound can be daunting. Our direct perception of the sound (as an alternative to acoustic measurement) can facilitate its translation from a much larger or smaller scale of perception into our own. Can a musical listening also enlighten usscientifically? There will be time for Q&A and discussion following the lecture. Friday’s performance is a multichannel, improvisational performance in a rich yet spacious combination of the newest directions of each contributor’s artistry. 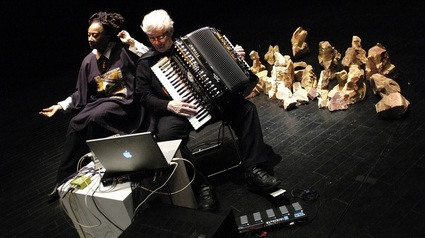 In recent years, Oliveros has taken to performing with a Roland digital accordion that has extended her sonic range. Her partner Ione improvises text/sound art, while Anne Bourne, herself a crucial contributor to the Music Gallery over several decades, deploys her sublime experiments in cello. 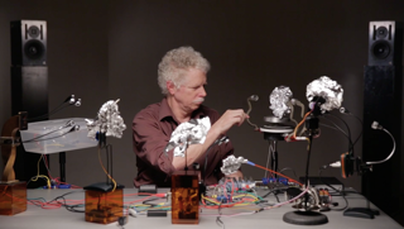 Doug Van Nort captures and transforms acoustic signals from his collaborators and own voice, improvising beautiful electronics diffused over 8 speakers. For the 2016 Wendy Michener Lecture, the Sensorium Centre, the DisPerSion Lab and the Music Gallery are pleased to present two legendary mavericks of the experimental music and arts scene. The lecture begins with PAULINE OLIVEROS, a senior figure in contemporary American music whose career spans fifty years of boundary dissolving music making. 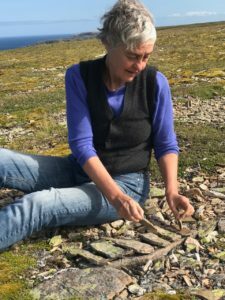 Pauline will discuss her life practice of Deep Listening, which has blossomed into an international community of certified practitioners, artists and scholars. She will discuss a recent project, Sensational Sounds for hearing and non-hearing performers, which brings together hearing and nonhearing performers in ensemble performance, utilizing new instruments built for this context. 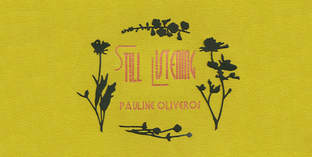 Pauline will then be joined by IONE, a noted author, playwright/director and poet whose works include the critically acclaimed memoir, Pride of Family Four Generations of American Women of Color, Listening in Dreams and This is a Dream! Pauline and Ione will discuss their current work in progress, The Nubian Word for Flowers, a mixed reality opera. This major work involves an international team of collaborators, cutting edge technology, and immerses the audience in a mythology that spans from Lord Kitchener and his Ontario town namesake to the Nubian people of the Nile River. A Question and Answer period will follow the lecture. This lecture is part of the programming for the Music Gallery’s X-Avant Festival. 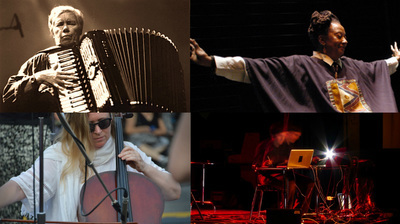 As a sister event, at 8pm at their St. George the Martyr Church venue, the festival will also feature an improvised quartet performance featuring Pauline Oliveros (v-accordion), Ione (spoken word), Anne Bourne (cello) and Doug Van Nort (electronics). Final public event until the Fall! Montreal-based Tout Croche is Stephen Harvey & Dominic Thibault. a haven of post-genre sonic experimentation and music making that marvels at noise from beautiful ambience to digital distortion. 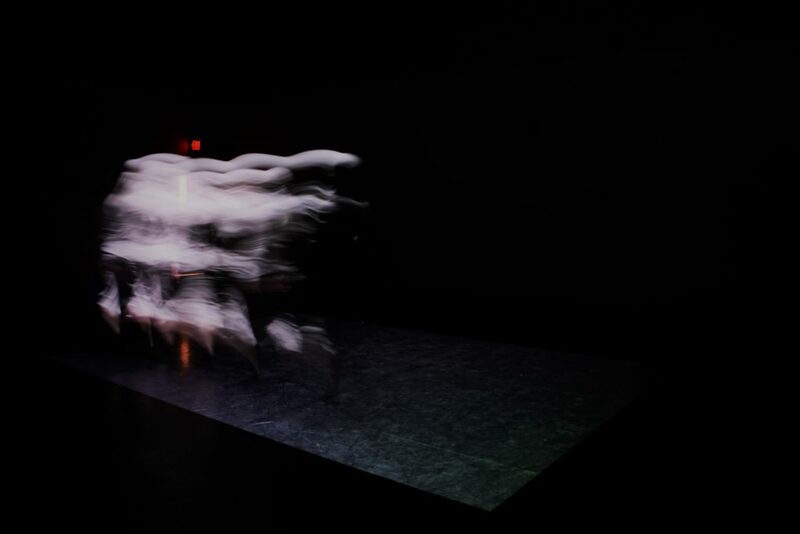 This performance is a stop on Tout Croche’s Quebec-Ontario tour, and also features a performance of EAO’s soundpainting-based piece, recently played at ISIM. The EAO performs an hour-long set at ISIM. 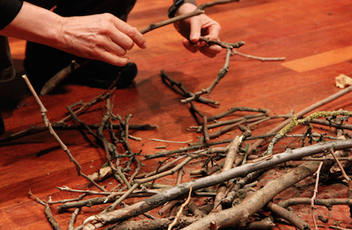 This will be a structured improvisation featuring soundpainting-based conducting. 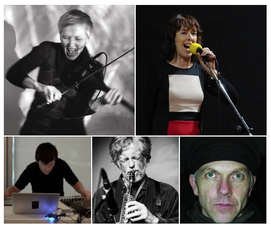 Uncanny: A Telematic nO(t)pera is a semi-structured, semi-improvised performance linking six performers and their audience across one virtual and five real sites of performance. The musicians utilize their deep listening skills as they listen across networks, across N. America, and across radically different acoustic spaces and instrumentations, in order to find convergence through musical dialogue. Performers from Stanford (California), RPI (New York) and York Student Projects Gallery will be projected onto materials within the DisPerSion Lab, forming an uncanny trace of their bodily presence, embedded on a blended “stage” with a live electronics performer. Public activity from the Accolade West hallway, leading up to the Student Projects gallery, will be mapped into visual and sonic art and projected within DisPerSion Lab, creating a texturized doppelganger of the activity just outside the Gallery site of performance. The website http://www.dispersionlab.org/live-stream will provide another realization of the performance, allowing audience to chat, interact via twitter, and alter the outcome by conducting the musicians during one section of the piece. The York-based audience is invited to wander between the differing performative realities of the public spaces, the virutal online platform, the live performance within the gallery, and the live performance within DisPerSion lab. Prof. Century will discuss the performative processes of five sound art works and experimental music compositions, proposing a way to define, diagram, and compare the interconnected roles of instrument, score, and code against each ensemble’s temporal intensity and capacity for generating novel, unpremeditated events. Two have either a textual score only (John Cage’s Inlets/Improvisaton II, (1977)), or none at all (Pauline Oliveros’s I of IV , a recording of an improvisation represented notationally only by a circuit flowchart). Two are sound art pieces defined by a classical score experienced variably by listeners offered choices within the arrangement itself (Janet Cardiff and George Miller’s 40 Part Motet  and Michael Century’s Interactive GoldbergVariations ). The fifth piece, (n)Chant (2001), a sound installation by David Rokeby, consists of a network of seven software agents imbued with a listening and associative language capacity and which intone separately or in unison according to stimuli received by human speakers. MICHAEL CENTURY is Professor of New Media and Music in the Arts Department at Rensselaer, which he joined in 2002. Long associated with The Banff Centre for the Arts, he directed the Centre’s Inter-arts program during the 1980s and was the founding director of the Centre’s Media Arts programs in 1988. As a producer in the field of new media art, he initiated The Art and Virtual Environments project (1991-94), one of the first large-scale and sustained investigations of virtual reality technologies as a new medium for artists. He was program director for cultural research at the Montreal Centre d’innovation en technologies de l’information, served as senior policy advisor for art and new technologies to the federal Department of Canadian Heritage, and taught in the Graduate Program in Communications at McGill University before joining Rensselaer. Century authored the study Pathways to Innovation in Digital Culture for the Rockefeller Foundation, and was panelist and co-author for the U.S. National Academy of Science 2003 report on information technologies and creative practices, Beyond Productivity. A pianist, and of late, accordionist, Century’s scholarly interests are in software cultures and theories of socio-technical innovation. Electro-Acoustic Orchestra Session! RSVP to come and try out as a member of EAO for Winter/Spring 2016. Recordings Inc) and Innova labels, among others. Corpus-based Concatenative Synthesis is a method of sound synthesis in which a large collection of real-world sounds, ranging from musical instruments to environmental recordings, are analyzed and re-combined in order to generate new musical textures. This event provides a unique opportunity to learn the basics of this technique through exploration of cataRT, the most popular software for concatenative synthesis (created at IRCAM in Paris), from Toronto-based cataRT expert Ted Phillips. Guests are encouraged to bring a usb drive with their favourite sound recordings (.wav or .aif format). After the introductory talk, we will pool these together and interactively explore the corpus of sounds that are created using the cataRT system, in order to discover new recombinations of sonic textures that are made possible by this technique. Re-imagine the real-time streams emanating from, to and about York University Libraries in their physical and virtual homes. using Twitter as their interface. An evening of distributed performances, live coding and laptop orchestras linking DisPerSion to Montreal and Palo Alto. Alison Humphrey will talk about her research-creation dissertation synthesizing sci-fi drama, interactive special effects, and collaborative online culture to build a new framework for young adult learning and civic engagement on the topic of vaccination. Ellman, Rory Hoy, Ian Jarvis, Alexander Laurie, Kieran Maraj, Caleb Martin, Mark Mcgugan and Michael Palumbo. Is it possible to become re-sensitized to this ubiquitous musical masterpiece by taking it apart and putting it back together again? Stripping Handel’s music back down to its barest essentials, Electric Messiah enables four singers, accompanied by guitar and electronics, to explore a selection of the work’s most popular movements through the lens of their own unique styles and cultural backgrounds. Staged in the intimate, cabaret-style undergound of Toronto’s iconic Drake Hotel, in collaboration with curator Kyle Brenders, dramaturg Ashlie Corcoran and lighting designer Patrick Lavender, Soundstreams’ Electric Messiah will reconnect you to the music of the holiday season in a way that is surprising, fresh, and above all, FUN. Deep Listening is a practice focused on experiencing heightened awareness of sound, silence and sounding through meditation, body-work and collective listening-sounding exercises. This session will be presented by certified instructor Doug Van Nort. This week we will hear about the project areas that the lab will focus on for the remainder of the academic year, and the focus areas that will define the Thursday play sessions for the coming weeks/months. Big data is one of the defining problems of our time: we are immersed in a torrent of information from scientific discoveries, news, social circles, and the devices we carry. The challenge is to distill all this abstract data into userful conclusions. 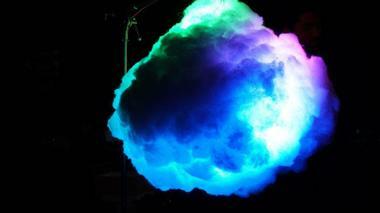 The Data Sensorium was launched in 2011 to foster novel kinds of collaborations to yield new insights. Collaborations are not merely fashionable: they are critical to tackling modern scientific and engineering challenges. However collaborations are typically thought of in terms of bleeding across conventional discipline boundaries. While these ‘nearby’ interactions (e.g. between physicists and chemists) are undoubtedly valuable, the Data Sensorium instead explores how seemingly disparate disciplines such as the arts and the sciences can interact to mutual benefit. Margaret Anne Schedel is a composer and cellist specializing in the creation and performance of ferociously interactive media whose works have been performed throughout the United States and abroad. While working towards a DMA in music composition at the University of Cincinnati College Conservatory of Music, her interactive multimedia opera, A King Listens, premiered at the Cincinnati Contemporary Arts Center and was profiled by apple.com. Her research focuses on gesture in music, the sustainability of technology in art, and sonification of data.In 2010 she co-chaired the International Computer Music Conference, and in 2011 she co-chaired the Electro-Acoustic Music Studies Network Conference. She ran SUNY’s first Coursera Massive Open Online Course (MOOC), an introduction to computational arts. 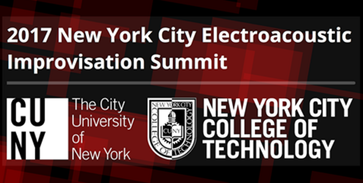 As an Associate Professor of Music at Stony Brook University, she serves as Co-Director of Computer Music and is the Director of cDACT, the consortium for digital art, culture and technology. An emergent sonic organism that evolves through collective attention to all facets of sound, and improvisational practice. Based at York University, the YEAO (dir. Doug Van Nort) performs a range of pieces by its members, invited guest artists and from the experimental music repertoire. Current members are David Bandi, Christopher Cerpnjak, Carlos De Leon, Peter Ellman, Rory Hoy, Ian Jarvis, Alexander Laurie, Kieran Maraj, Caleb Martin, Mark Mcgugan and Michael Palumbo. ​November 5th @ 5:00pmCome in and play. Audio system is ready for connections, floor is open for movement, if you need projection please contact in advance. Part of Troubleshooting~, an outlet for emerging and established artists in electroacoustic improvisation. The series has featured work with Max/MSP, PD, SuperCollider, cataRT, max for Live, tidal, and diy electonics. DisPerSion takes AES by storm! Performing in the lab will be lab members Ian Jarvis and Doug Van Nort on electronics, along with Maneli Jamal on guitar. The event is co-produced by lab member Michael Palumbo. ​October 22nd This week, interested members are encouraged to take their improvisational spirit to Professor Casey Sokol’s famous Soirees in ACE 235 @ 8:00pm.DisPerSion members will bring electronic music improv to this event – please contact dispersion.relation@gmail.com in order to coordinate and to take part. ​Tuesday October 20th @ 5:00pmThe inaugural meeting was a great success – lab introduction, and even a project idea!​This week will be more informal, likely within an hour, and will focus on hearing about people’s interests relative to the lab theme. DisPerSion Lab Inaugural Play SessionWeekly play sessions in a variety of media, drawing heavily on improvisation and experimentation.A time to develop a practice, test ideas, etc. Following up on the conceptual ideas presented in the talk, this hands-on workshop invites participants to explore the integration of the vibratory potential of physical objects with the transformative potential of a well-composed algorithmic structures. Seating is limited for the workshop. Please RSVP to secure a place. This talk gives a brief introduction to my research work in the design of computer-based musical instruments (CMI). The focus will lie on the questions what a CMI built for traditional instrumentalists (e.g. 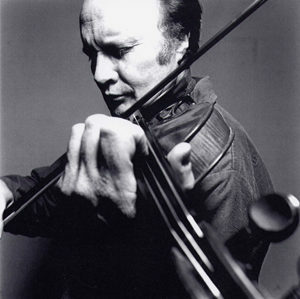 string players) should be open for and what constraints come with the process of formalization necessary to be done when developing CMIs. Based on my conclusions I will present an alternating approach to sound synthesis which I call Audio Signal-Driven Sound Synthesis and I will talk about possibilities how basic aspects of the signal-driven approach can be mapped onto other systems/fields in music and what questions may evolve when doing this. I will then set the frame for a bigger NIME view.